Hey, i am doing a assignment at university and wanting to create a game with level generation similar to this game. Is the anyway you can give me insight on how i can achieve something like this? Don't know if you still look at the comments on this. 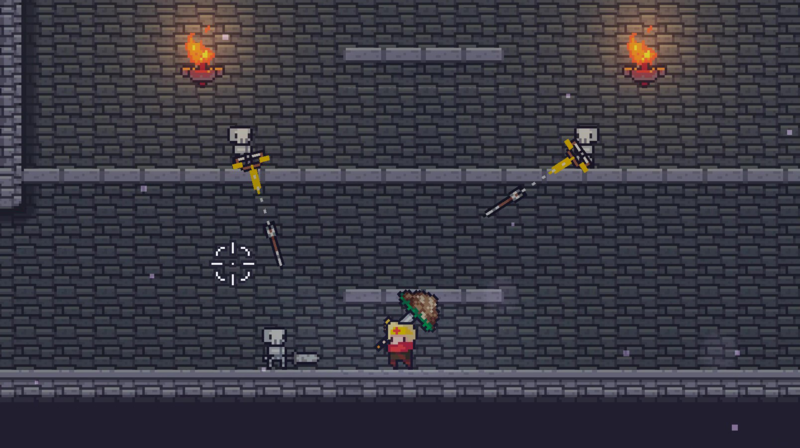 Love the game probably one of the best Roguelike games i've played in the past couple years. you know.... there is a software called "jetbrains dotpeek". just open the file "Assembly-CSharp.dll" and you can read all the c# scripts :-) it works for any game. it is called reverse-engineering... must be a great university. second really good game in itch i found. really best! ty for work! *work, but strange. i cant equip 1st time. A chippa of an adventure and well worth your time in. Hello,Team Horay! 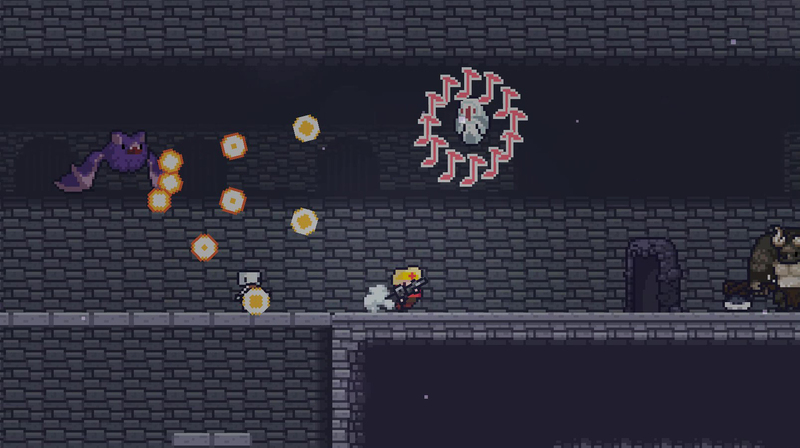 I tried out your demo for Dungreed. I really enjoyed playing the demo version that you have. Even though I wasn't that great in the video. I hope you and the rest of the itch.io gamers will enjoy the game play. what u put on the altar? I love the game there is nothing i would change about it except two things the first is that Nilfhiem is a little over-powered it took me grinding to level 20 to beat her, it may just be me not having enough skill which may likely be the case but you may want to nerf her a little, that's my opinion at least the second is that i ran into a glitch where the exit to the shop was at the top of the screen so i jumped and dashed to it and got stuck outside the boundary unable to move and the only way to continue was to abandon my run which was sad since i had just gotten the legendary star rod. Other than these two things i absolutely love this game and i hope to see what you guys create in the future! I sent a message through Ruliweb. Looking forward to the reply. Loving the game so far. Did not realize I would lose my weapon after leaving the dungeon, even succesfully. This could be made clearer. Content creation inquiry: I can’t seem to find a email address for you guys to where I can send business inquiries. Any assistance would be great, thanks! I don't usually comment on games but this one is amazing! Only issue is using my wireless 360 controller everything doesn't seem to work properly especially in the map and item menus. I've been using a mouse while using my controller to circumvent these issues. Regardless can't wait for the full game. i think that the matchlock gun could definitly use a boost it in all honesty is way to under powered i think it should atleast be able to take out a big red bat in 1-2 shots. 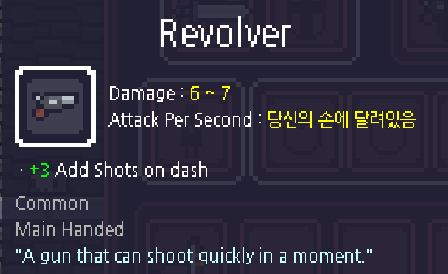 if you make it so it can one shot a big red bat you should increase the reload time by about 0.5 seconds if it 2-shots big red bats then you would be better off leaving it at the same reload and shot speed. Liking what I'm seeing. Got to the first boss on level two and got destroyed, and im not even mad. Time to try again! Keep up the good work! Hey team_horay, I'm Thomas from CCJK Technologies. I can't find your official website so that I contact with you on itch. I saw your game on steam today, I think Dungreed is awesome! Wow, Thank you for the video. :) We are looking forward to the next video! 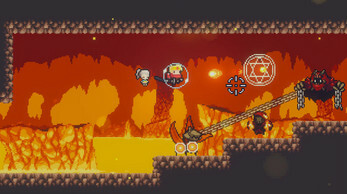 I cannot stop it until I finish lv3 after 2h playing,the dash-attack and shotgun are really cool!The boss's attck is high and the HP is low(perhaps all point in attack,like meXD),so I think it need to be balanced.As a beginner of unity,I'm happy to play this so perfect game,and I think I need to word harder! We continue balancing and localizing. :) Thank you for your feedbacks! 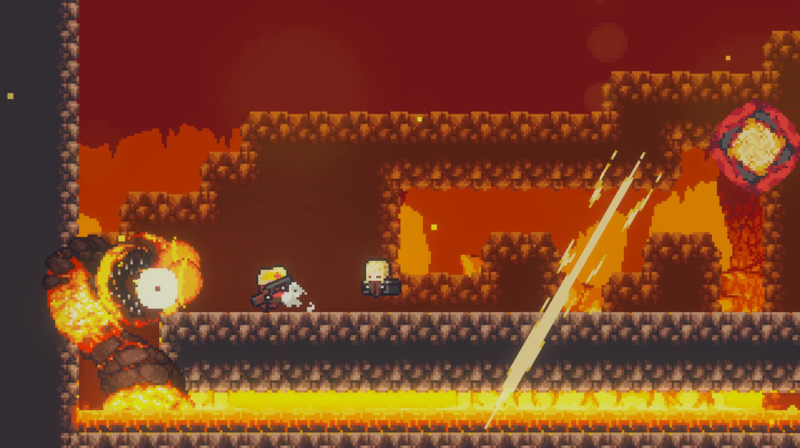 It's fun, challenging, and for some reason, I really love the artstyle! 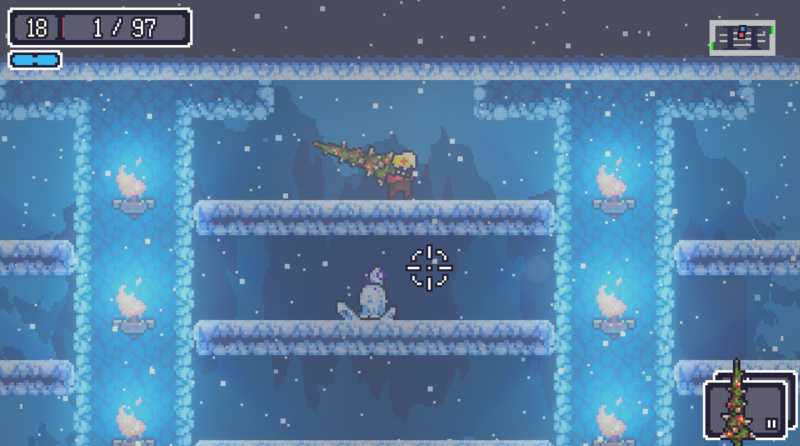 Though, I feel like the dash could have an I-Frame ("Invisibility Frame") to dodge more projectiles, still, I'm in love with it and I hope to see the full version! Ah! Thank you very much for letting us know about "I-Frame". if you get the round shield you get invincibility on dash so if they added an I-FRAME it would make the shield pretty much useless. I'm so happy with this game; only one thing bothering me though. There's no I-frames. (pls add) Also, you shouldn't lose your items if you decide to leave early, it's a real bummer. Other than those two things, this game is amazing. Thank you for your feedback. There will be changes regarding the issue. But I don’t know I-frames. Can you tell me what I-frames is? It's a really good game, but I think you should be able to keep your items that you find or buy if you go back to the top. Kinda makes it pointless to keep buying things just to lose them all if you leave. Obviously if you die you lose them. We have seen the issue and are discussing improvements. Awesome! Nice job on the game though. I seriously loved it and will definitely buy it. If you need help with making the english sound better, let me know. You're welcome! Good luck with the game! Super excited for the full release of this game ! Is there an ETA ? I'm really enjoying the game so far! 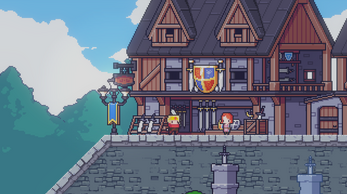 I love pixel games cause they look so cute and this one does really well in the small pixely style! I love the animations, they're very good at bringing the world to life and the attention to just sutle animations (like the character's hair bobbing with each step) is amazing, and I really love the diversity of NPC's! I think the load time after getting swallowed by the dungeon is a bit long. It would be nice to keep my loot, it doesn't really make sense to me why I can't keep anything if I didn't die unless I need to rescue someone who runs a storage shed or something like that. I'm really excited to see the full release! I made a video, I hope you enjoy it and the few more to come. Thank you for the video and feedback! We will look for an improvement plan. I gave it a try and it's really fun. Controls are fluid and animation is great, I'd just suggest getting an editor to fix a lot of the typos and grammatical issues. Otherwise though it was a blast, and I look forward to the full game. In level 3, there is a monster right beside the start point that cannot be avoided. I tried like 5 times, but could not defeat it. I wish I could practice more on fighting it, I couldn't, because I was sent all the way back out of the dungeon with no weapons. If I want to fight it again, I need to go through all the levels before it, it's ridiculous. That's where I gave up playing this game. 1. Should be able to keep the weapons. 2. Should have a teleport to levels you had been to. Thanks again for the feedback. We will discuss about "shortcuts". nevertheless, I made a trailer for you guys using my game play recordings, hope you enjoy it. Wow the video is cool! Thank you cery much! shut up and take my money! so, how can i pay? 1. bug: in level 1, when u buy stuff and equip it, it will disappear, and u would have wasted your money. 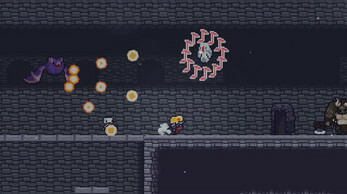 2. suggestion: when you die or get out of the dungeon, all your equipment will be cleared. 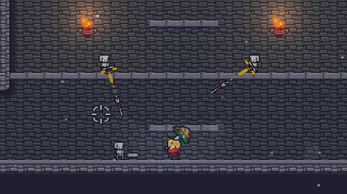 The next time you go into the dungeon, you can rush directly to level 2, but you don't have any weapons, so you still have to beat level 1 again to collect some weapons. This is quite unnecessary and annoying. Can we keep the weapons or equipment? I really don't want to play level 1, 2 again and again. About 1: This is not a bug, and it seems that the item was SOLD by "right-clicking when the store panel was opened". I will redesign the item UX so that there is no confusion in the release version. Hello! Thank you for your feedback. You probably can not play well at lower resolutions now. for some reason when I entered the dungron mouth it keeps crashing. Thank you for your report. I will check about that problem. And please try temporary solution below : delete all the data in the /StreamingAssets folder. Thank you.